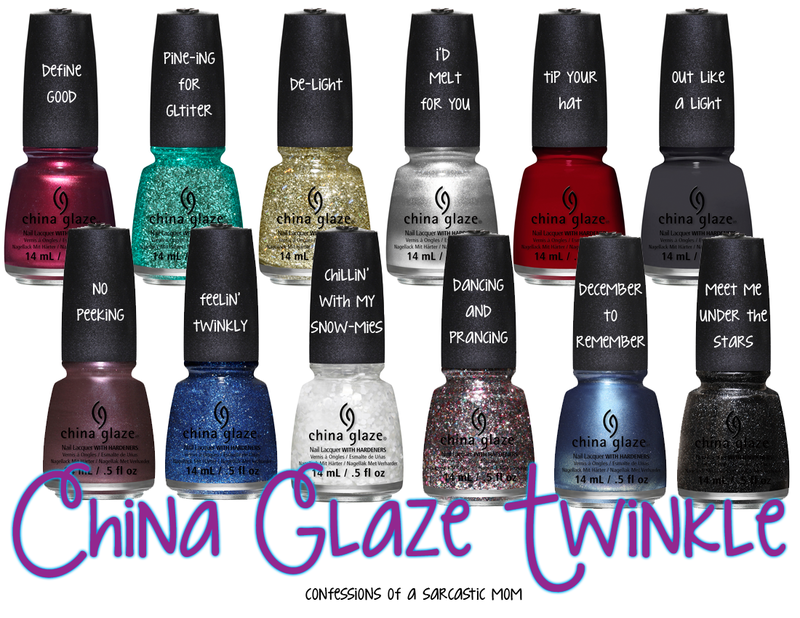 NEW: China Glaze Holiday Collection - Twinkle! Check out the new China Glaze Holiday Collection - Twinkle! This will be available in stores next month AND I've got this collection to show you next week. How exciting right?? Here's the 411 on this collection for now! As with all China Glaze Holiday Collections, there are various gift sets for you to enjoy! You can snag the colors you want without having to buy individually; plus, there are some super extras! Will you be picking any of these up? As I mentioned above, I do have this collection, and I will be showing it to you (hopefully) next week. Tomorrow starts the beginning of me rocking my nubbins, so be ready!